Due to my Trigger Finger illness, I bought a Track Ball Mouse in replacement of the regular mouse. We roam around the Computer stores at the Cyberzone of SM Fairview Mall to look for it. Only one store is selling it, and I have only two options to choose from, the A4tech and Logitech Brands. 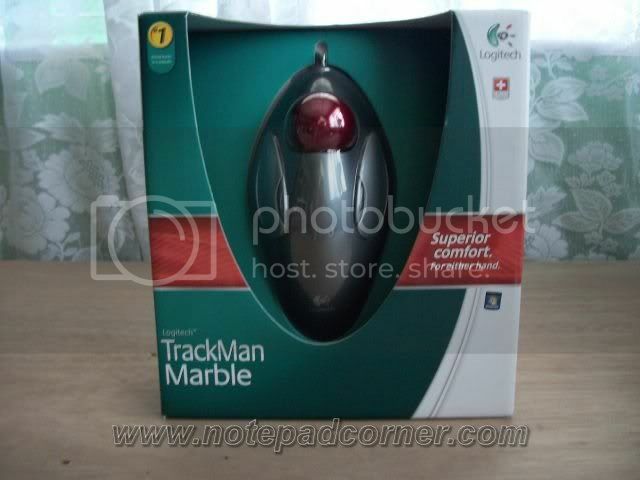 I have chosen the Logitech Trackman Marble, it is quite expensive, but I think it will be a good buy though. It costs Php 1,850 ($ 44++). Track ball mouse as recommended by most of my friends gives superior comfort for either hand you will be using with it. Because my right hand fingers are limited in mobility at the moment, I am learning how to use it with my left hand. I am not comfortable using the touch pad of my laptop that’s why I still prefer using a mouse by just connecting it to the usb slot. Well, I’ve been using it for a week now and I find it much comfortable to use. now you give me the idea what kind of mouse is best for me thanks for leaving a comment as well to my blog. and logitech is a good brand too! I agree Logitech is a good brand, same here not comfortable using the touch pad of laptop kaya bought mouse also.